Editor’s Note: In 2011, NPQ published “An Uncomfortable—But Necessary—Conversation” in which Tim Delaney, President and CEO of the National Council of Nonprofits, guided us through an uncomfortable conversation about how state and local governments were shifting many of their public responsibilities onto the backs of charitable nonprofits and foundations. In this new, two-part “Voice from the Field,” Delaney surfaces another uncomfortable conversation, this time about the nationwide support system—or infrastructure—for the work of nonprofits. NPQ has previously published on this issue, including our 2009 Study on Nonprofit and Philanthropic Infrastructure, where we found that grant funding was flowing in greater amounts to organizations serving the most well heeled nonprofits and philanthropic groups. At the time, we suggested that this was backwards. Similarly, we published this piece by Cynthia Gibson in 2008. In this opening installment of a two-part series, Delaney explores new data about funding for nonprofit infrastructure organizations upon which charitable nonprofits and foundations depend. NPQ invites you to add your observations and insights to give body and life to this discussion. I recently joined leaders of other infrastructure organizations in signing the “Investing in Infrastructure” letter thanking those foundations that have invested in the well-being of the entire nonprofit community via grantmaking to oft-hidden infrastructure organizations and urging all foundations to “consider directing at least 1% of their grantmaking budgets to support the infrastructure upon which the nonprofit sector is built.” I signed gladly, hoping that it would start to lift the cloak of invisibility that normally masks the ignored but indispensable infrastructure upon which nonprofits and foundations depend. In particular, I’ve been concerned about funding disparities that appear to be based on misunderstandings, or a lack of understanding, about the necessity and impact of nonprofit infrastructure that is tasked to support the entire sector’s wide range of missions, activities, and requirements. Without adequate funding, the infrastructure cannot provide the needed policy voice; the access to networks of action and information and skills development, governance guidance, dialogues, research, financing; or the other supports needed by individual organizations to advance missions in local communities across America. It’s a curious term, one that is largely unknown to most people. That’s in part because infrastructure of any kind is often overlooked and ignored—until it breaks down. Then, it’s much more expensive to remediate than if it had been maintained. Consider, for instance, America’s physical infrastructure. We take it for granted when we flip a switch for light, drive on a road, or turn the faucet for clean water. Yet when bridges collapse, people are trapped on the subway, or sewage backs up, we suddenly are reminded of the indispensable nature of the hidden-in-plain-sight infrastructure on which we depend. And invariably we see the stark price tag to fix or replace things that would have been far less expensive if maintained properly in the first place. Funding for philanthropy-specific infrastructure rose 79 percent (by more than $24 million), as opposed to just 9 percent for all other nonprofit infrastructure (roughly, just 1 percent annually for each of the 9 years—without adjusting for inflation). Indeed, the increase in funding for philanthropy-specific infrastructure actually exceeded the pace of overall giving (63 percent). According to the National Center for Charitable Statistics, private foundations comprise only 9 percent of the number of registered 501(c)(3) organizations, yet the study found that foundations gave 41 percent of their infrastructure funding to philanthropy-specific groups. Why has overall infrastructure funding fallen from 0.85% of total giving in 2006 to just 0.60% in 2012? Why the pronounced bias for philanthropy-specific infrastructure versus the essentially stagnant support for nonprofit infrastructure? What’s at risk if support for nonprofit infrastructure continues to be tepid in the face of vastly greater policy threats to the work of foundations and charities, and vastly greater numbers of entities for nonprofit infrastructure to support? These questions lead to uncomfortable conversations, in part because of the ever-present power dynamics between nonprofits and foundations. Some have cautioned me to bite my tongue. But at a certain time, the danger to the communities we serve is greater than the risk of being defunded for speaking out to ask honest questions, express genuine concerns, and attempt to forge authentic solutions to protect and support the entire 501(c)(3) community and those we serve. I earnestly believe that the underfunding of the nonprofit portion of infrastructure upon which charities and foundations rely puts the entire community at jeopardy. Silence in the face of community danger is inappropriate. The nonprofit community, charities and foundations alike, need to engage in an open and meaningful dialogue about the needs of the collective sector, because if left unaddressed, like with other under-resourced infrastructure that fails from lack of meaningful support, the cost of fixing or replacing it will be much higher. And in the interim, the people and structures that the infrastructure is designed to help get hurt. Those informal relationships may flow from the frequency with which philanthropy-specific infrastructure groups interact with foundations on their meeting circuits. Or perhaps the funding disparity is unwittingly influenced by the intertwined career ladder that appears to exist between the multitude of various philanthropic affinity groups and foundations. A career often begins at an affinity group, before migrating to a foundation, then switching back to a higher position in an affinity group or foundation consulting firm, and then back again. With this back-and-forth advancement process, it behooves everyone in that relatively closed system to keep foundation affinity groups and consulting firms well funded. It’s not that the frequent meeting circuit or intertwined career ladder are wrong by themselves. But they can lead to systemic, unconscious biases by well-intentioned, intelligent people. Whatever the reasons, the data reveal that since 2004, a lot more money has been flowing to philanthropic-specific infrastructure groups. This opinion piece is not suggesting that all foundations immediately reallocate chunks of their existing infrastructure funding to just nonprofit infrastructure. Philanthropy-specific infrastructure is important and should be funded. Nor am I suggesting exact dollar-for-dollar equity: that because foundations comprise 9 percent of the 501(c)(3) family, infrastructure funding to philanthropy-specific infrastructure be only 9 percent (as opposed to the 41 percent that it receives now). 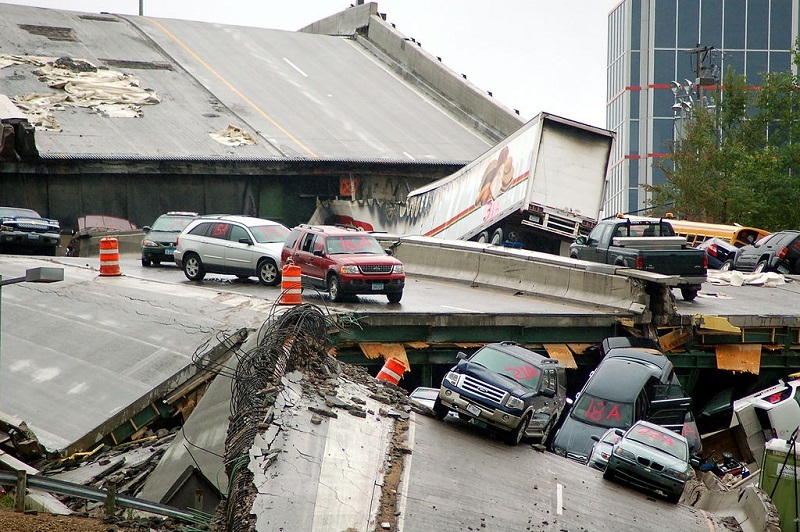 Nonprofit infrastructure is vital to the entire nonprofit community—charities and foundations—and cannot be left behind without serious consequences falling on everyone, including foundations. I anticipate that foundation executives agree that informed decisions should be made when expanding infrastructure funding. Thanks to the Hewlett Foundation and Foundation Center, the sector now has data prompting exploration whether the underfunding of nonprofit infrastructure has been truly informed and intentional, or merely inadvertent due to unconscious bias or lack of knowledge about the missed opportunities in, and underfunding of, nonprofit infrastructure.